Sometimes the tuners get carried away when they are trying to design a new body kit for a popular car and end up redesigning the whole thing. 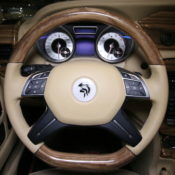 More often than not that redesign is a total disaster. 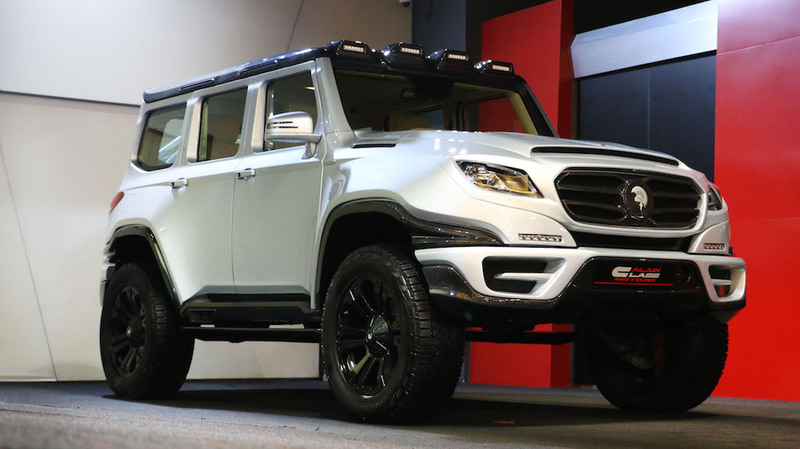 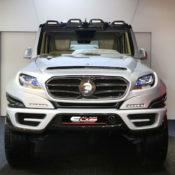 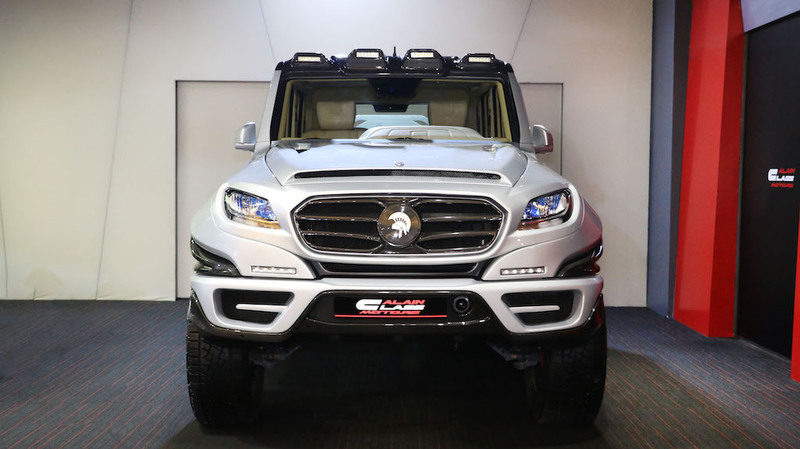 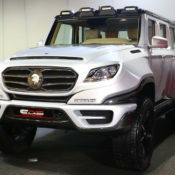 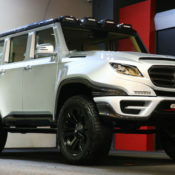 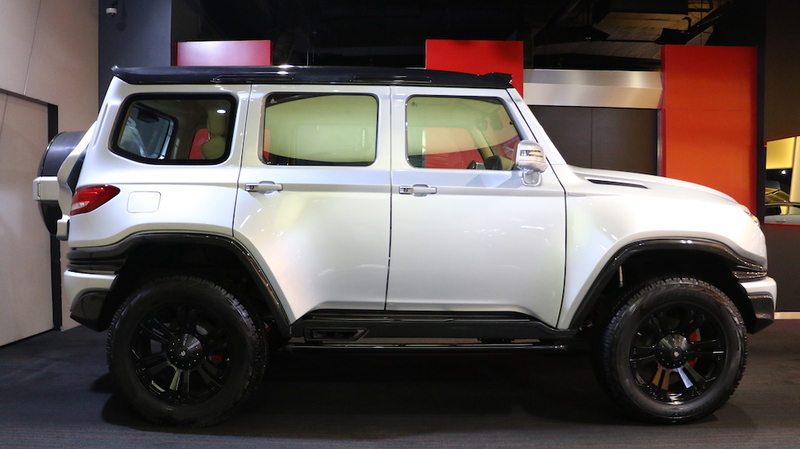 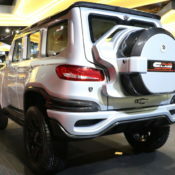 But on a few rare occasions what results is way nicer than the base car, as is in the case of ARES X-Raid which is a heavily customized Mercedes G63 AMG. 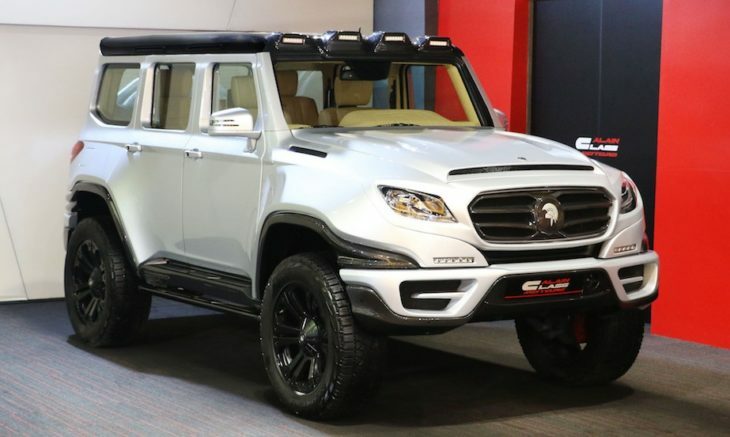 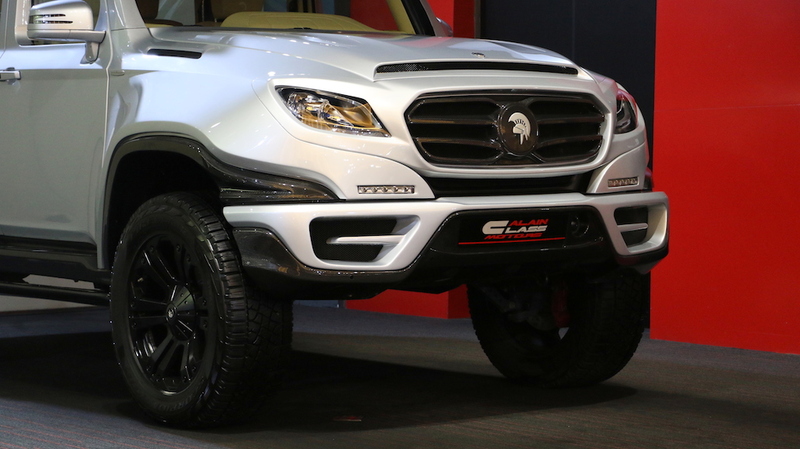 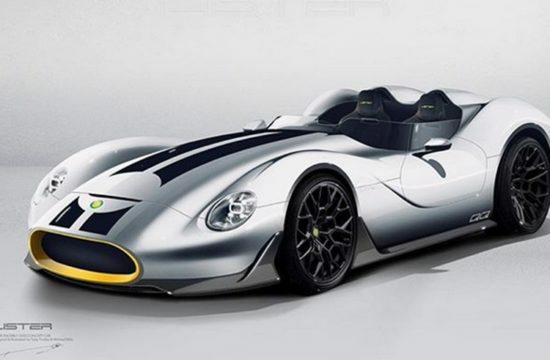 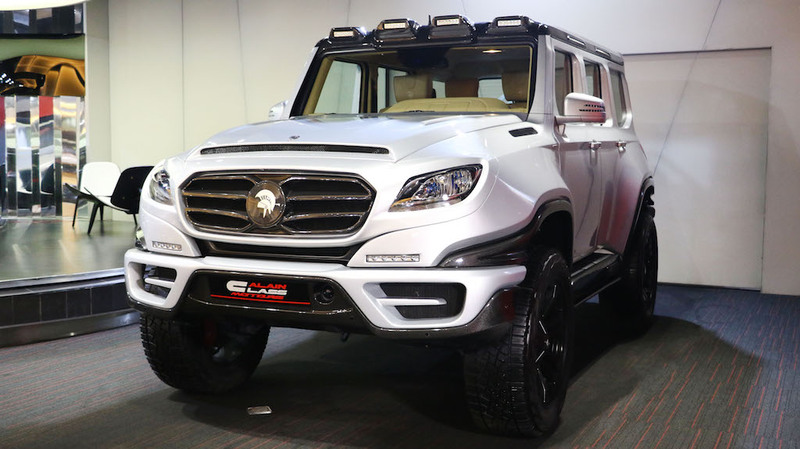 We had seen this beast in computer renderings before, but it’s the first time we get to check it out in the flesh, or metal to be more precise, courtesy of the folks at Alain Class Motors who have secured a pristine 2014 example of the extraordinary ARES X-Raid. 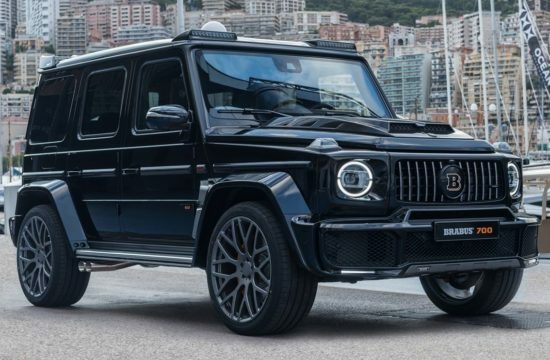 The extent of modifications applied to this car is such that you would have to stare at it a while before you even realize it is a G63 AMG under the skin. 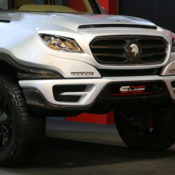 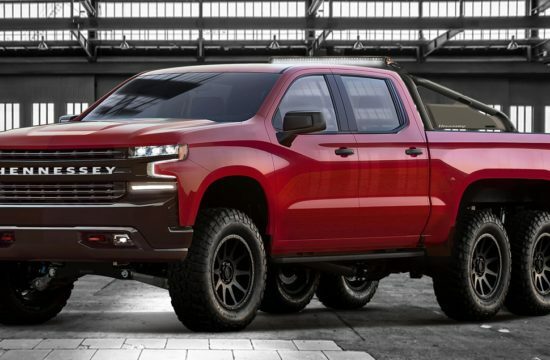 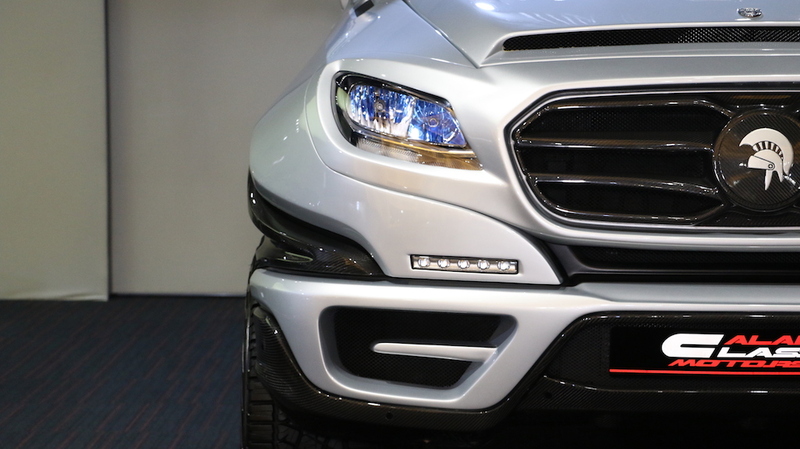 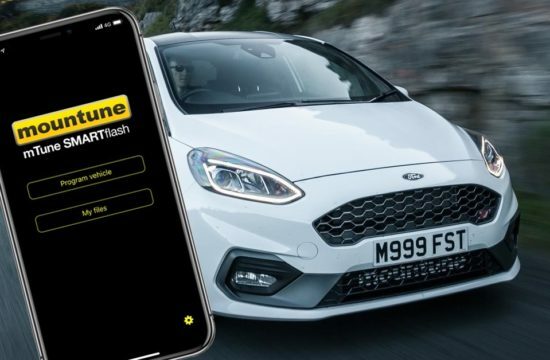 There is new fascia on the front and rear, new side panels, skirts, fenders, tailgate, pretty much everything has been changed and made more dramatic. 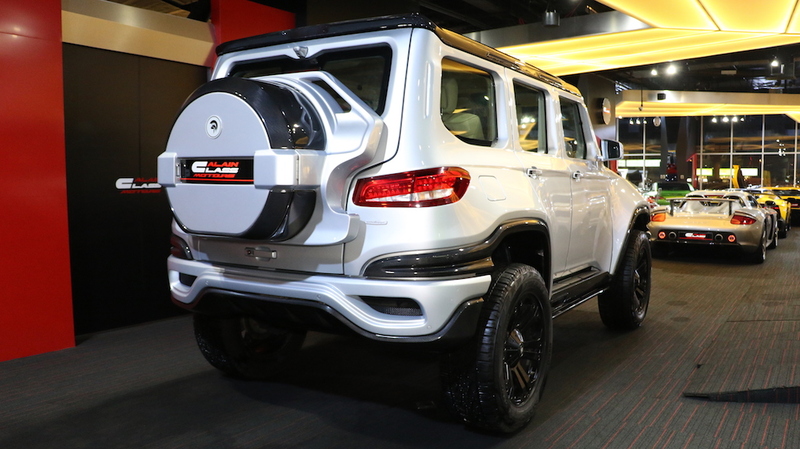 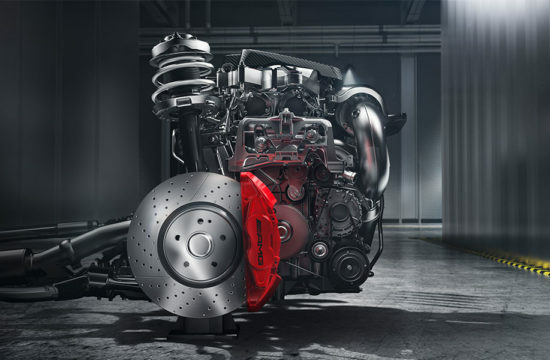 ARES X-Raid G63 features the 5.5 liter bi-turbo AMG V8 which the tuner has upgraded to 760 horsepower. 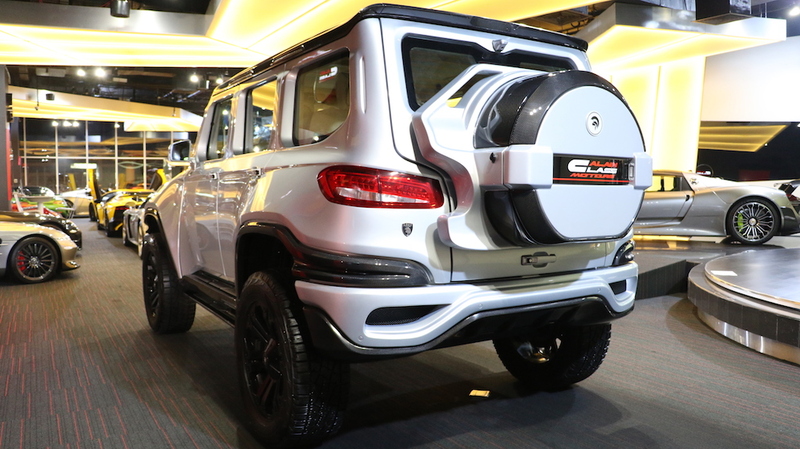 The carbon fiber body reduces the overall weight by as much as 200 kg compared to the standard G63, so the X-Raid is pretty quick. 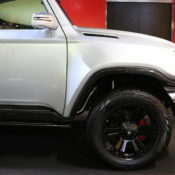 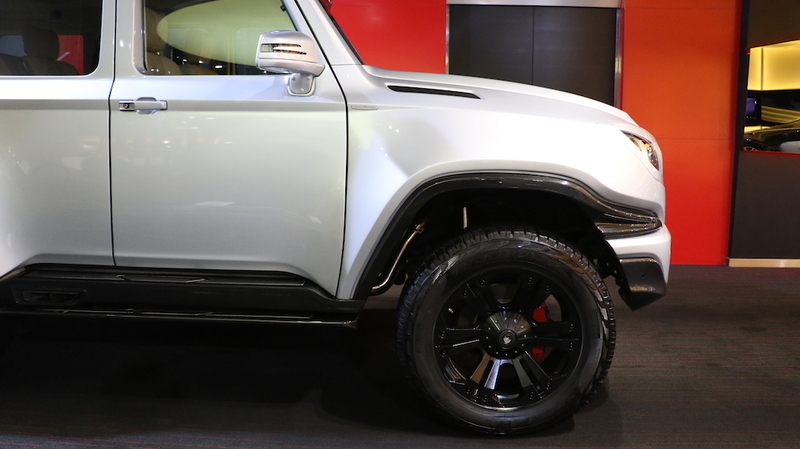 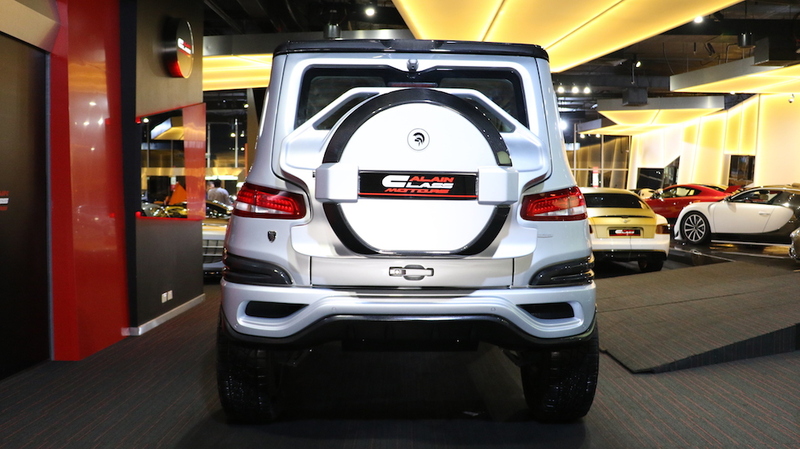 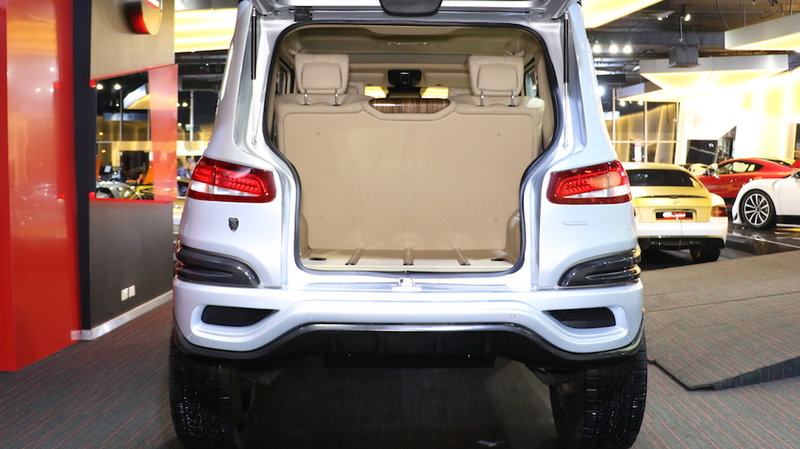 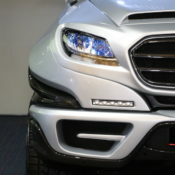 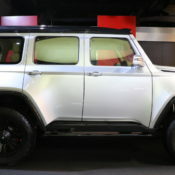 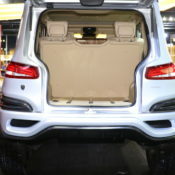 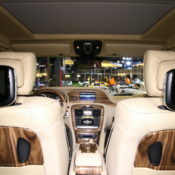 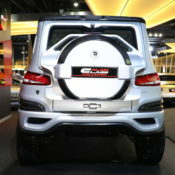 The luxury SUV also features jacked up suspension and bespoke 22 inch wheels. 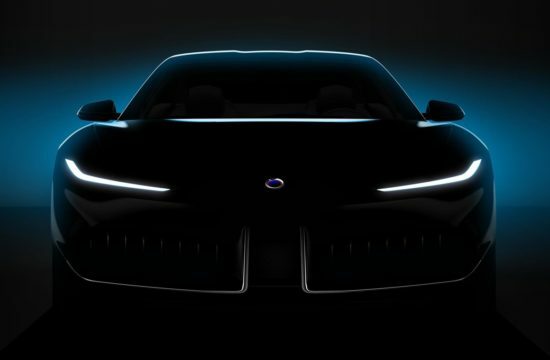 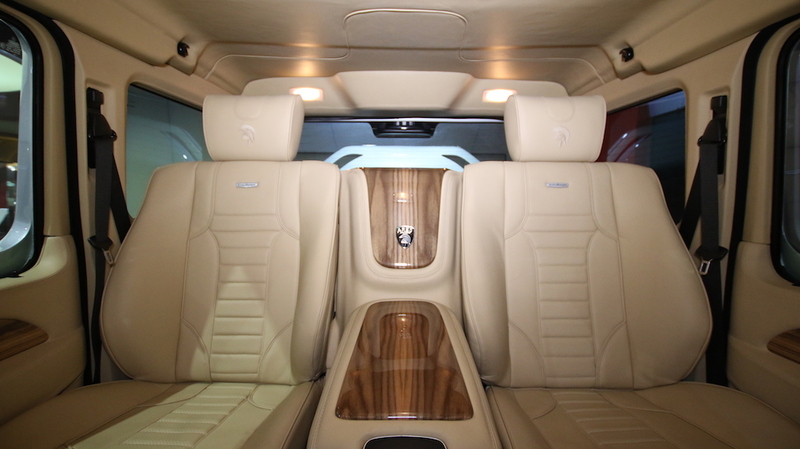 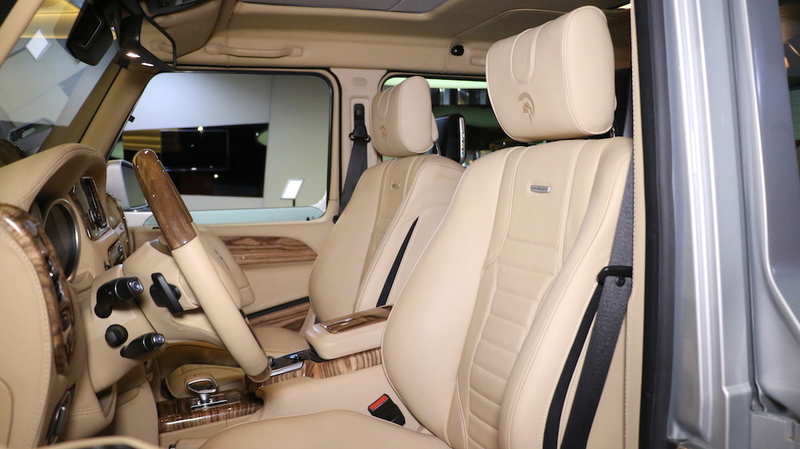 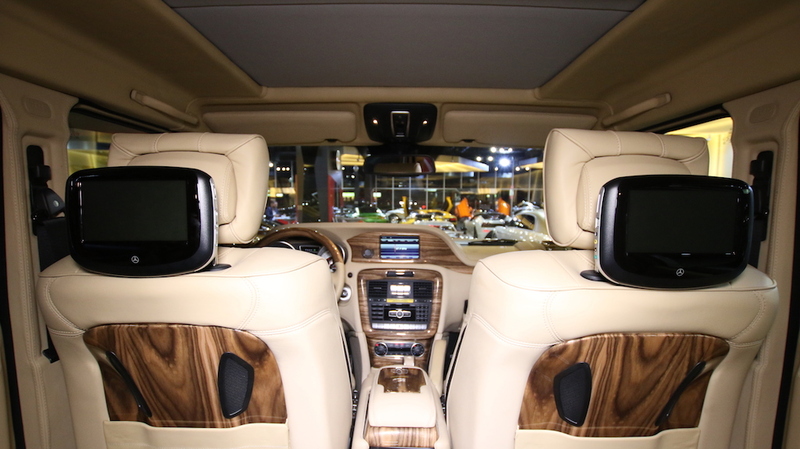 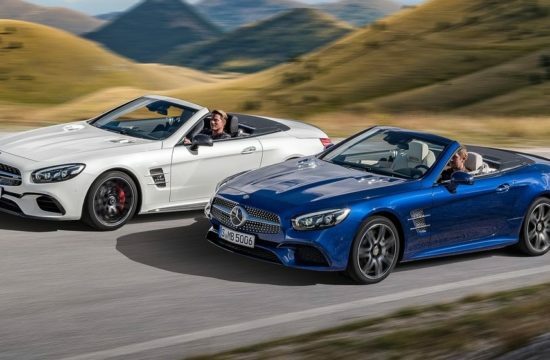 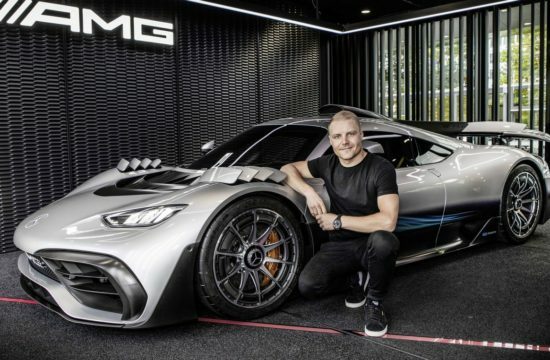 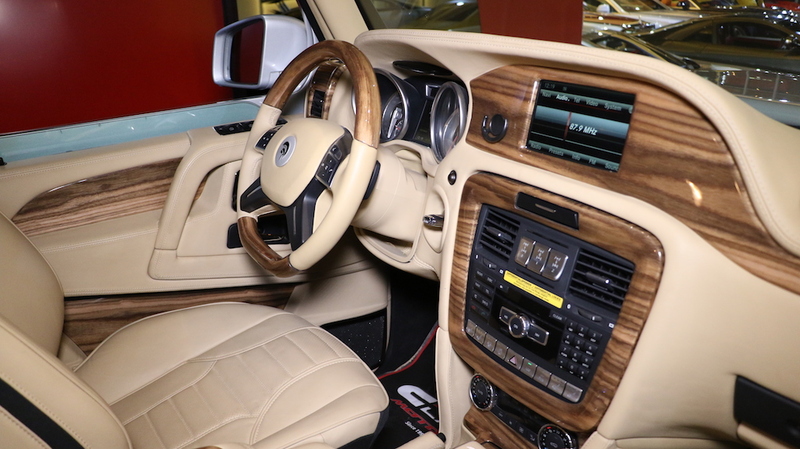 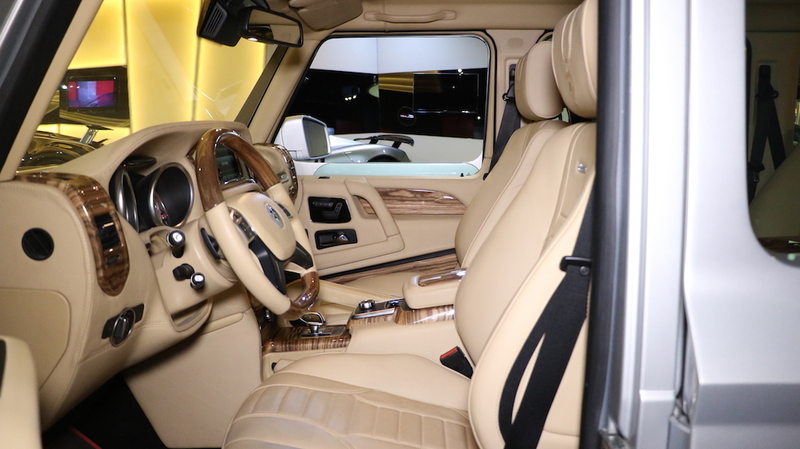 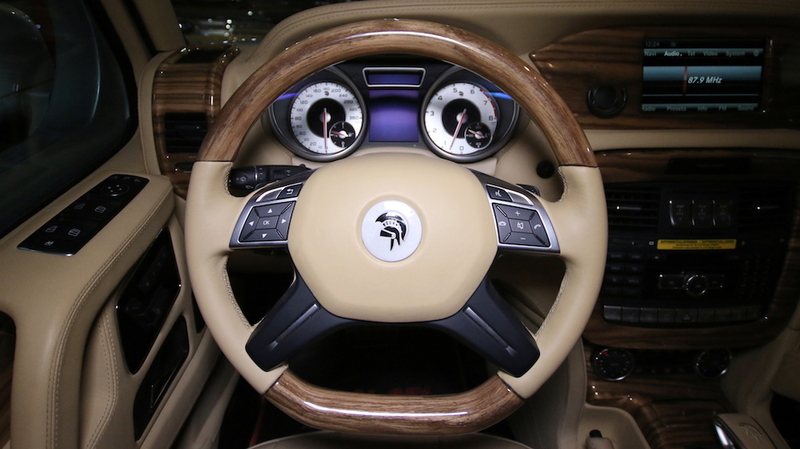 As for the interior, it is also bespoke and features a redesigned dashboard and a new rear passenger compartment with two individual seats and a large center console. 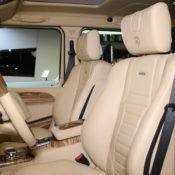 This particular example has a Cream interior garnished with light-colored wooden trims which look very warm and cozy.